Top Rated Algebra Tutors in San Diego, CA! Welcome to San Diego’s top-rated private algebra in-home tutoring service! All of the following San Diego algebra tutors are certified by Varsity Tutors, the leading tutoring agency in the country! 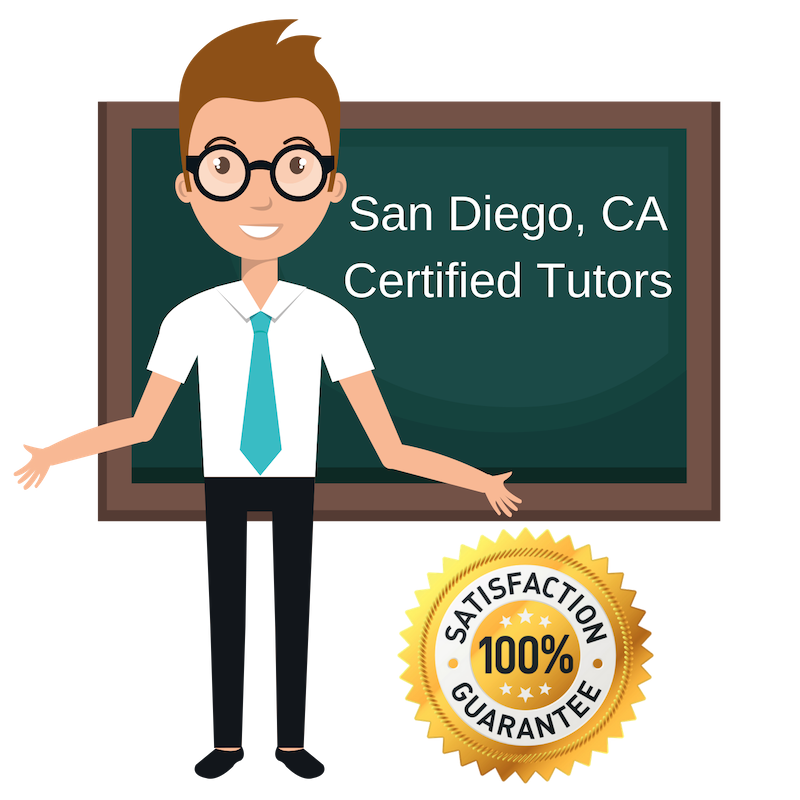 All San Diego algebra tutors have been background checked, been interviewed, had mock algebra tutoring sessions, and been trained by professionals. We guarantee you will love your local San Diego algebra tutor or your money back! Get information regarding a top-rated algebra tutor today! Algebra is one of my favorite subjects and I love getting the chance to tutor students in understanding Algebraic problems. It also allows me to continue my passion for teaching science and mathematics to students of different academic levels. My name is Chanelle, a Marine Biologist and native of San Diego, CA. My teaching experience comes from the classroom where I have taught students different subjects, Algebra being one of them. Students struggling with Algebra will be able to grasp the information to be confident in their assignments and exams. I’m energetic, science loving, outdoors type of person who can’t wait to help you. I am a local Algebra tutor in San Diego, CA who has a passion for teaching and learning. I am a graduate of San Diego State University where I obtained a Bachelors in Applied Mathematics as well as a Masters in Mathematics Education. Having lived on the west coast for a while, I have tutored high school and college students in many subject areas, so I understand the needs of the students in the area. I currently teach math courses at the local community college in San Diego and I look forward to helping students in the surrounding area. In my spare time, you can catch me enjoying the beautiful beaches of San Diego. To me, teaching opens a door of opportunity to show people fascinating and phenomenal things. I am an Algebra tutor in the San Diego area and proud graduate of UCLA, with a Bachelors in Biology and a Minor in Conservation Biology. I have been teaching and tutoring math and science subjects to students for several years. I understand the needs of students in the San Diego area, having lived on the west coast for most of my life. Students can rest assured that I will work with them gain a better understanding of Algebra. When I am not hitting the books, I am enjoying the outdoors and reading up on the latest scientific findings. As a tutor, I have learned to assess a student’s problem solving skills and help them bridge the gaps in understanding. I am able to break down complex problems into simple items as well as use analogies to explain concepts. I am a private Algebra tutor in the San Diego area and a PhD candidate in Biomedical Engineering from a joint program with Johns Hopkins University and UC San Diego. Students want a tutor that can provide direction and support to help them succeed. My name is Leila, a San Diego Algebra tutor and recent Biopsychology graduate from the University of California-Santa Barbara. As an experienced tutor, I know that students look for a tutor who can understand their learning difficulties and offer solutions to resolve them. I have been tutoring students in different academic levels for about seven years in various subject areas. I love seeing my students improve and find an appreciation for learning. I can’t wait to work with students in the San Diego area. Please don’t hesitate to reach out to me if you have any questions.